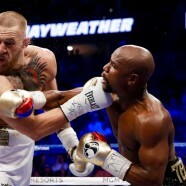 Home » BOXING » Mayweather VS McGregor, Greatest Crossover Fight in History – MIDDLEBROOK MONEY MACHINE. POWERFUL INSIGHTS Coming soon on “Gym Talk” Episodes………………………. “MAYWEATHER VS MCGRGEOR 1” The Largest CROSSOVER FIGHT in WORLD HISTORY. KM Legal Power LLC, Elite Platinum Portfolios LLC, Middlebrook Money Machine LLC, MIDDLEBROOK Productions LLC, Floyd Mayweather, Conor McGregor, Mayweather VS McGregor, Middlebrook Money Machine, Keith Middlebrook Pro Sports.